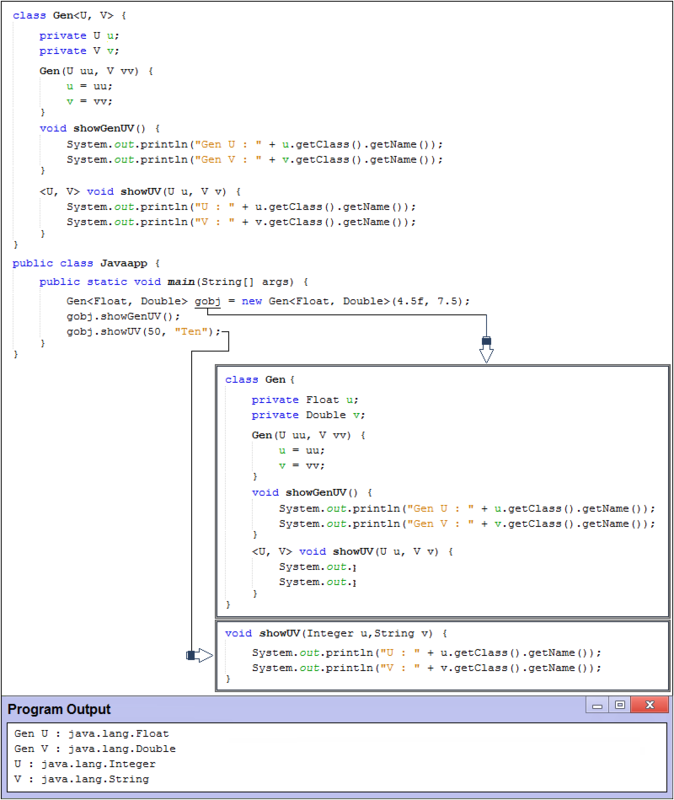 Generic method can appear in either a generic or nongeneric class. For example, the following program declares a generic class called Gen and a generic method within that class called showUV( ). The showUV( ) method has its own parameter type declaration that defines the type variable U and V. The scope of U and V is limited to the method showUV( ) and hides any definition of U and V in Gen class.